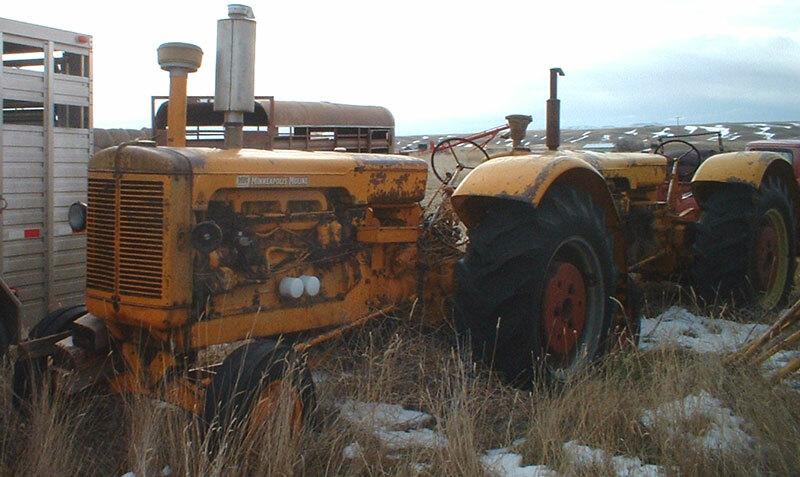 These two yellow 1955 Minneapolis Moline GB Diesel tractors are fairly complete project tractors ready to be restored. 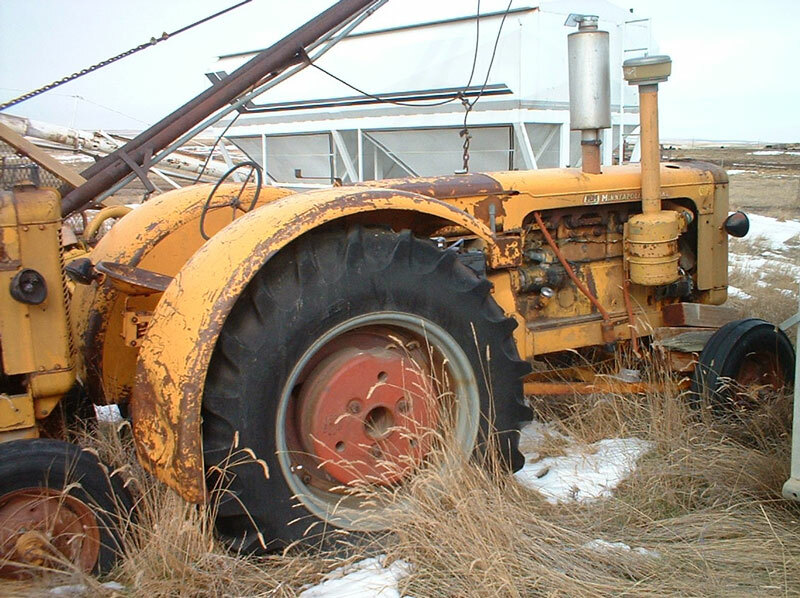 We bought the pair at an auction at a farm near our central Montana wheat farm. They are mostly complete and original tractors. The fenders are solid but have some damage and dents. They are both hand clutch tractors, The tractor in front has a whole through the side of the block. It also has an add-on larger air cleaner. It had a PTO and it has been removed. The rear tractor was not stuck a few years ago but could be stuck now. This is a little rust started in the rear wheels from the ballast. We do not have the serial numbers and we will not be at the tractors to get the numbers any time soon. We estimate with weights and ballast they weight about 12,000 lbs. each. 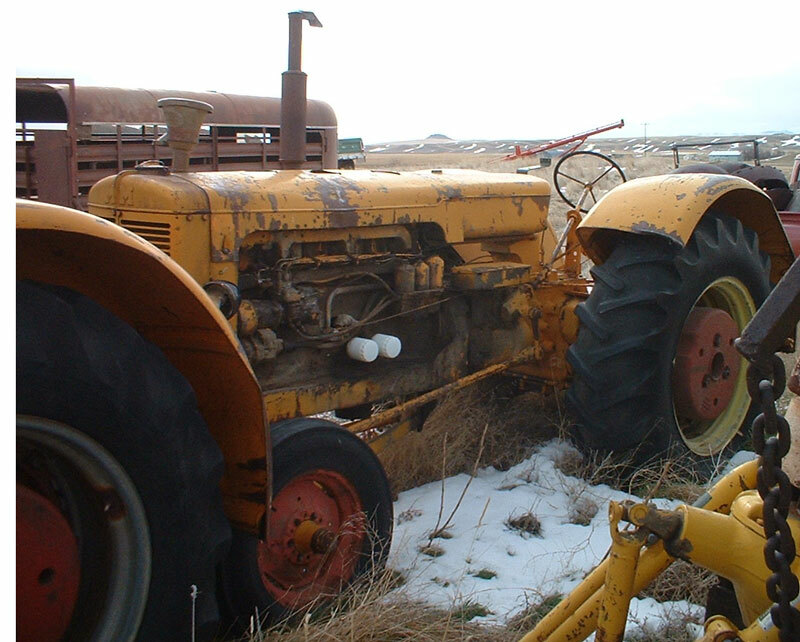 Here is your chance to won and restore tow big wheat tractors from Montana. Please call (406) 318-0270 for details about this restorable classic project car. Both tractors are $3,500.